1. 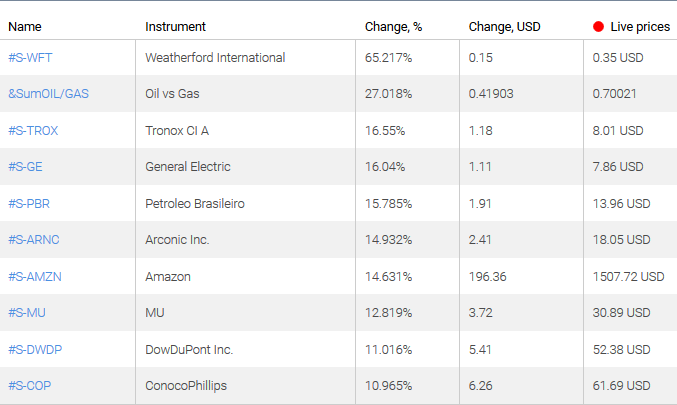 Weatherford International Ltd. – stock prices of the US manufacturer of oil and gas mining equipment. 2. Natural Gas vs Oil –prices of the personal composite instrument SumOIL/GAS. 1. 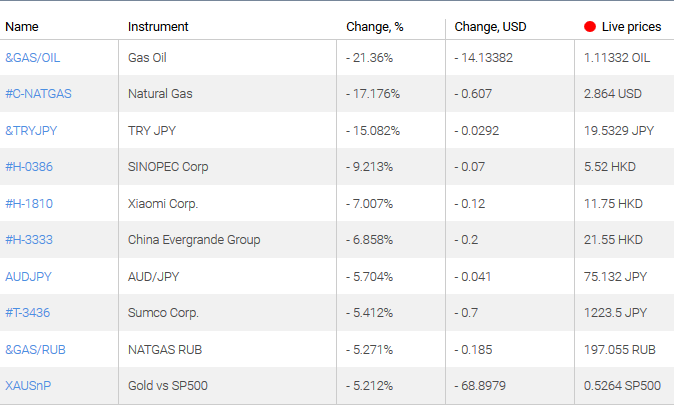 &GAS/OIL – prices of the personal composite instrument Natural Gas vs Oil. 2. Henry Hub Natural Gas Futures – prices of the natural gas in US. 1. 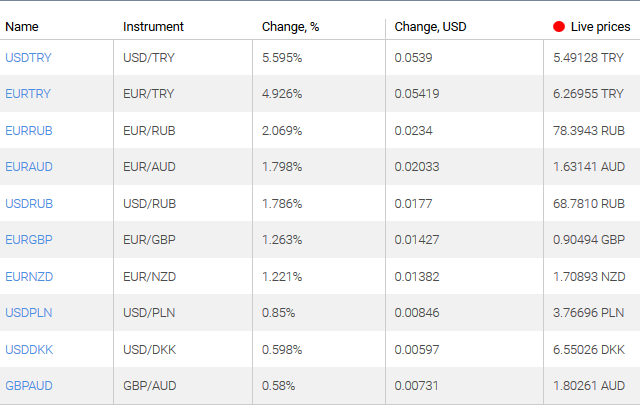 USDTRY, EURTRY – growth on this chart means the weakening of the Turkish lira against the euro and the US dollar. 2. EURRUB, USDRUB, EURAUD – growth on this chart means the weakening of the Russian Ruble against the euro and the US dollar. 1. 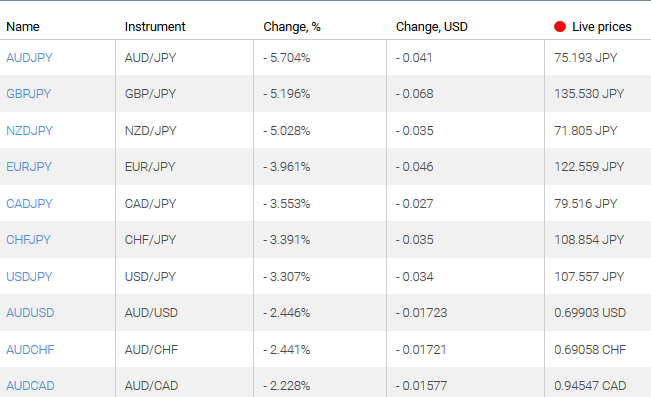 AUDJPY, GBPJPY, CADJPY – decline on this chart indicates the strengthening of the Japanese yen against the British Pound, Australian and Canadian dollars. 2. NZDJPY, EURJPY – decline on this chart means the weakening of the New Zealand dollar and euro against the Japanese yen.